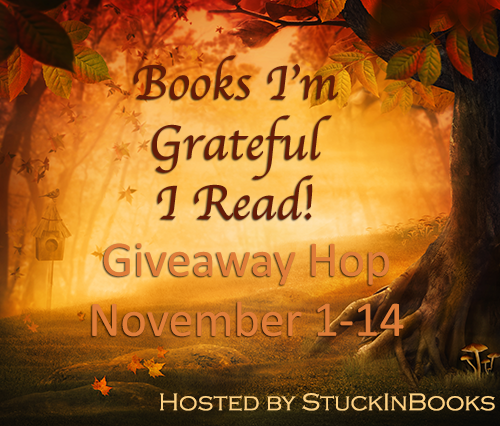 Laurie Here - Contemporary Fiction and MORE - Book Reviews: Books I'm Grateful I've Read Giveaway Hop! Nov 1 to Nov 14th! Books I'm Grateful I've Read Giveaway Hop! Nov 1 to Nov 14th! This Hop takes place from November 1st to November 14th! 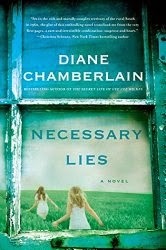 A book I am very grateful I've read is Necessary Lies by Diane Chamberlain. ANY of her books are AMAZINGLY written! This book touched me very personally, and I would like to share it with you! Employing accessible characters and compelling language, Chamberlain deeply mines the appalling, little-known history of North Carolina’s Eugenics Sterilization Program, in effect from 1929 to 1975. As worker-tenants on a tobacco farm in 1960, 15-year-old Ivy Hart lives with her faltering, temperamental grandmother, mentally slow yet breathtakingly beautiful 17-year-old sister, young nephew “Baby” William, and her own epilepsy. Jane Forrester, an idealistic social worker, whose status-conscious doctor-husband isn’t convinced his wife should hold a job, feels smothered by the social niceties of the early ’60s South and starts to question the boundaries and mutual respect in her own marriage. When Jane becomes Ivy’s family’s social worker, she encounters the state program that seeks to sterilize “mental defectives,” among others with supposedly undesirable characteristics. Through every choice she makes from then on, Jane triggers an inescapable series of events that thrusts everything either she or Ivy ever held to be true into a harsh light, binding them together in ways they do not immediately comprehend or appreciate. Absorbing and haunting, this should strongly touch Chamberlain’s fans and draw those who enjoy Jodi Picoult and Barbara Delinsky. You can read my review about this book HERE! I DARE you not to fall in love with this author! I read every new release, and am working on reading her previous books, too! I have 20 of her books to read as she just released a NEW book called, "The Silent Sister". You can read that review HERE! She writes about every subject you can possibly think of! I LOVE this author! You can find her on FACEBOOK at Diane Chamberlain's Readers Page She is VERY interactive with her Readers! Enjoy! There is a Novella you can purchase to see if you would like this book for only 99cents, and that is the book that hooked me into reading THIS book! It is called "The First Lie". It's well-worth reading! It'll shock you! It's a very shocking read! You'll know what they are talking about, but the characters don't have a clue. You may even shed a tear or two! HOW TO ENTER? FILL OUT THIS FORM BELOW! Now, HOP ON OVER TO THESE BLOGS IN THIS HOP AND ENTER THEIR GIVEAWAYS, TOO! Have FUN!!! Great choice! I'm not going to enter since I already own a copy, but someone will be getting a great read!